Two more nights till the end of all these fun! Ppl always ask me if I’m here for work or play. All work and no play makes Jill a dull girl right? 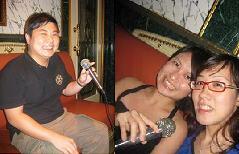 Karaoke with friends. Jansen almost made it to the finalists of the first batch of project Superstar Singapore ok…no joke! 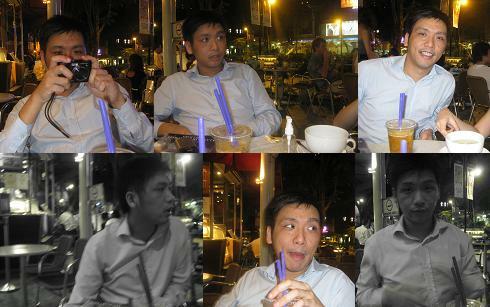 Great Singapore Sales and great cafes are bad for your health and pocket! Already burnt a hole in my pocket even before going to Hong Kong. We have the honour of Taki whipping up the charcoal beef dish for us at Waraku in Starhub Centre. See Ying Ku’s reaction. Delicious! 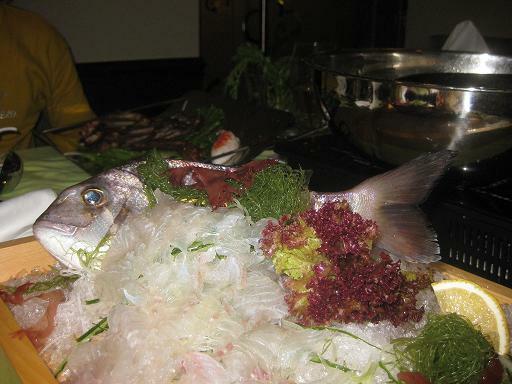 Too many cooks spoil the broth is right! So we made the guy cook! Superb food and dessert and all reasonably priced (of course don’t convert to Ringgit Malaysia! 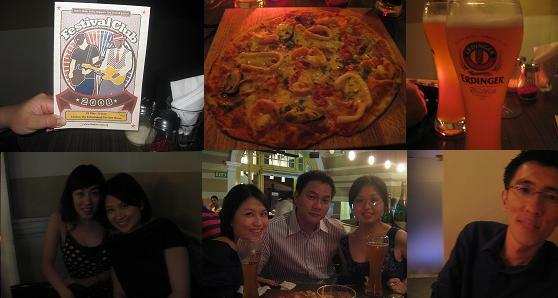 Yummy pizza, beer, smoke free area, live band, wide selecion of drinks and great company at Timbre Arthouse on Saturday night. Gee, I love this place! 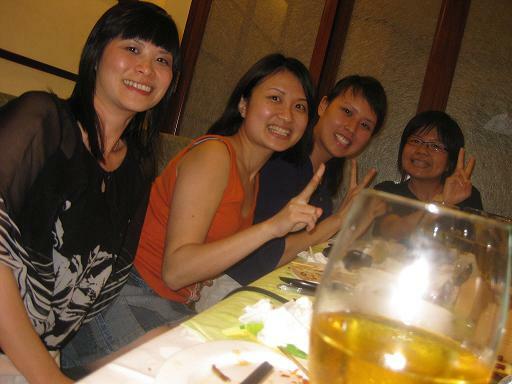 And this WILL BE the outcome of my Singapore trip. PIggy loses the kilos, siaoyue puts on the extra kilos. Not to mention once I go back and the reality of super hiked up petrol prices sink in. 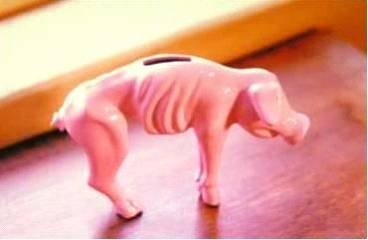 Poor piggy will be even more squeezed dry!